Biotech Crops Are Good For Earth, Report Finds The use of genetically engineered crops leads to reduced fertilizer use and helps farmers conserve soil, a committee of the National Academy of Sciences' National Research Council has found. The committee says society as a whole could benefit if future crops were engineered to use less fertilizer and to be more resilient to climate change. 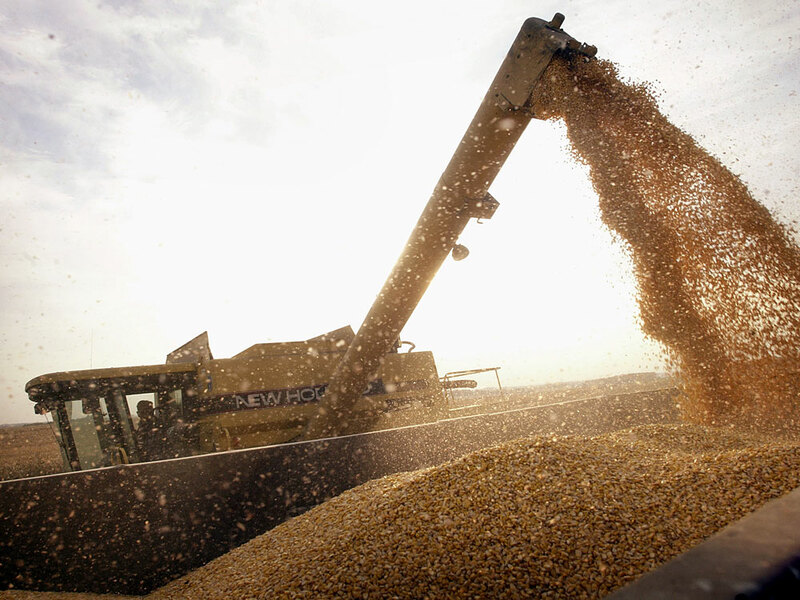 Nowadays most corn is genetically engineered or modified, like this Bt-corn being loaded near Rockton, Ill.
Over the past 14 years, three of the nation's biggest cash crops have quietly become genetically engineered crops. These days, 80 percent of the corn, cotton and soybeans are the products of biotech. A report released Tuesday by the National Research Council committee finds that crops produced through genetic engineering are on the whole beneficial for farmers who plant these seeds. But the committee cautions that the technology could lose some of its power if it's not carefully managed in the future. Other studies have looked at public perceptions of this technology and the health and social issues that it raises. But the National Academy of Sciences noted that nobody had tried to take a broad look at how this technology affects farmers. "We think the farmer's perspective is crucial in this," says David Ervin from Portland State University in Oregon, who chaired the National Research Council's exploration of the subject. "Because they're the ones using this technology. They have the most to potentially gain and perhaps some risks involved." And from the viewpoint of the farmers, the results are largely quite positive. 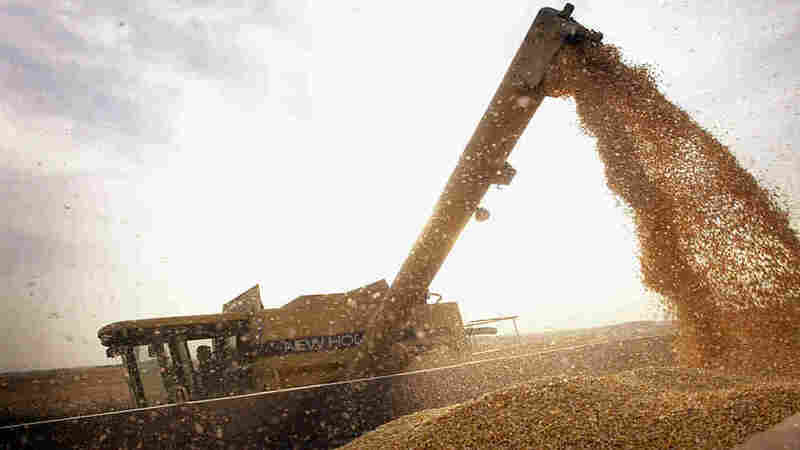 "What we found," Ervin says, "is that the farmers who have adopted these genetically engineered crops have received both environmental and economic benefits." Although genetically engineered seeds often cost more, the farmers more than make up for the discrepancy by using less labor and fewer chemicals to produce their crops. The report also finds the farm environment benefits as farmers can reduce the use of pesticides on pest-resistant genetically engineered crops. They can also reduce soil erosion caused by tilling by instead using herbicides to control weeds. "One of the herbicides that's very popular in the genetically engineered crops, glyphosate, is less toxic than many of the herbicides it replaces," Ervin says. However, the report finds that glyphosate, known by the brand name Roundup, may be getting too popular. Some weeds are growing resistant, a potential downside of the technology. "That's a serious concern," Ervin says. "In fact, one of the strong messages in our report and findings is that we have to take very seriously the high level of resistance of weeds to glyphosate. There's an increasing number of weeds and an increasing extent of area where we see this." If that trend continues, farmers might fall back on more environmentally damaging herbicides, or return to tilling their fields and sacrificing soil in the process. There are measures to manage this problem, Ervin says, but they're not being used effectively. Ervin would also like to see biotech used for broader social benefits, such as crops that need less fertilizer. "And if we can get plants to be more efficient in how they use their fertilizer and have less fertilizer runoff," he says, "it not only benefits the farmer by reducing their fertilizer application bill, but it also benefits the downstream users of waters who have less polluted runoff." Ervin emphasized that the panel decided not to go back and look at the health and environmental concerns raised a decade ago when the technology was taking off. The worst fears there have not come to pass. But Margaret Mellon, at an advocacy group called the Union of Concerned Scientists, still isn't overly enthusiastic about biotech crops. "I look at the technology in light of what it promised, and we all, including myself, expected from it 20 years ago when it first came on the scene," Mellon says. Hopes were high it would altogether transform agriculture and bring higher-yielding crops, fields that required a lot less spray, and less fertilizer. "And in light of what we expected the technology to do," Mellon says, "its performance is really very disappointing." It turns out most of those highly desirable traits are complicated and more likely to arise from conventional plant breeding, Mellon says. So she is disappointed that that so much enthusiasm has shifted away from conventional breeding to new and high-tech genetic engineering.